Win a 4-month supply of VÖOST effervescent vitamins! 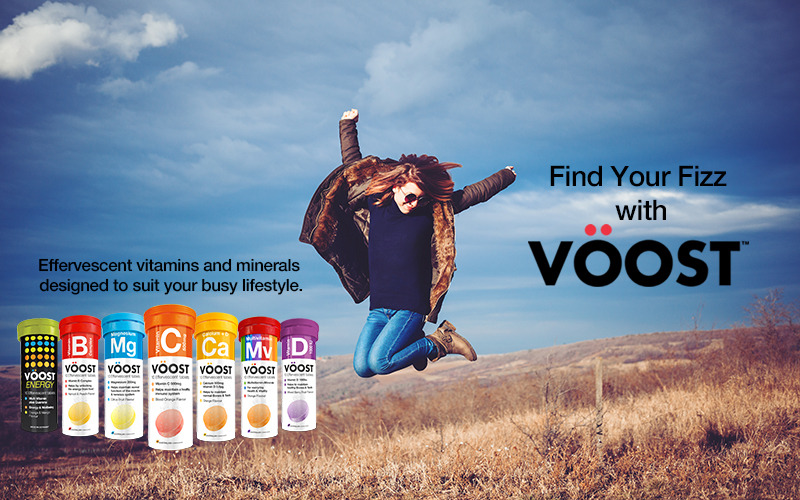 Australian vitamin brand, VÖOST, are giving 7 lucky winners a 4-month supply of effervescent vitamins each! VÖOST are committed to improving people’s lifestyles and creating a healthier world. Their products are designed for everyday use by busy people who need some extra help if they struggle to get their RDA. VÖOST are easy to use and delicious; just add to 200ml of water and enjoy!